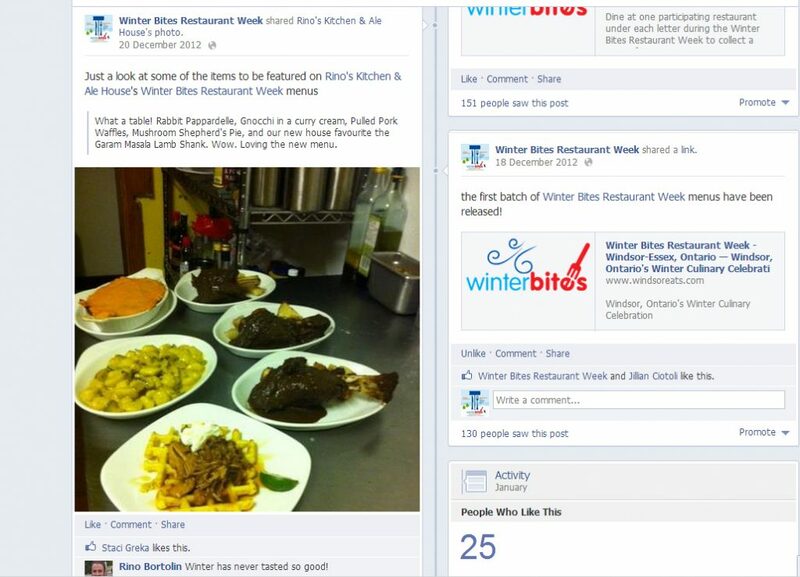 Post your 2013 Winter Bites photos and video on our Facebook page or tweet with the #winterbites hashtag on Twitter. Share with everyone where and what you decided to eat, give feedback on other people’s photos and all that other social media stuff. There are so many choices that we’ll never be able to try it all so it’s up to you to show us what the rest of us might be missing out on. Along with Facebook-ing and Tweeting your Winter Bites selections, use Facebook or Foursquare to “check-in” to your restaurant of choice and tag WindsorEats.com as being with you. The easiest and most rewarding way to interact is of course in person. Bring your friends and family out with you and enjoy the discounted Winter Bites menus at your favourite restaurant or use this opportunity to find a new favourite. After all, the more the merrier! Take part in our Rye, Tequila & Beer, Oh My! walking tour where we’ll visit Canadian Club, Walkerville Brewery and Walkermole for tastings and tours at each location. On our journey between the three, we’ll also learn all about some known, and not so well know, tidbits of Olde Walkerville history. Rye, Tequila & Beer, Oh My! takes place on Saturday, January 19, 2013. Tickets are $45 per person. To purchase, click here. Take a short drive out to Colchester and visit one of our regions newest wineries: North 42 Degrees Estate Winery. Owners Suzanne Dajczak and Martin Gorski or offering guests tapas and wine cocktails on Saturday, January 19 and Sunday, January 20. Their wine has been selling quick and they’re already sold out of a few of last years varieties so hurry on over and get some while they last. New to the week this year is our Winter Bites Restaurant Week Passport which gives you the chance to win prizes just by eating some great food at discounted prices. It’s a win-win! Visit three restaurants and spell out the word ‘EAT’ on your passport to be eligible to win some great prizes. Check out our Eat & Win page for more information and for our rules and regulations. Passports can be picked up at participating restaurants or you can print your own. Cost for the cooking class is $40 per person. Have any other Winter Bites Restaurant Week experiences you want to share? Tell us in the comments below!